Get ready to be WOWed!! This perfect blend of modern finishes w/classic touches is now available in a fantastic lock-and-leave McCormick Ranch location. From the open floor plan to the remodeled kitchen & baths, you'll love this home's details: gorgeous hickory floors & porcelain tile throughout; hand-painted Spanish riser tiles; added closets (2 in master); raised ceilings; newer windows, lights, fans, & fixtures throughout. The chef's kitchen features stainless appliances, quartz counters & glass backsplash. Two dining areas make for easy entertaining, as does this home's open layout. Indoor/outdoor living is a breeze w/the custom sliding French doors that lead to the large back yard. Take advantage of golf, tennis, swimming & more in this 24-hour guard-gated community. Come see!! Las Palomas Elegance - Finest finishes and detail to enjoy! When you enter the beautiful and welcoming courtyard get ready to experience luxury design detail found only in the finest of homes. Gorgeous views of Lake Angela and amazing sunsets can be enjoyed from this home. This timeless masterpiece features three bedrooms and three baths with a two car garage in the heart of McCormick Ranch. 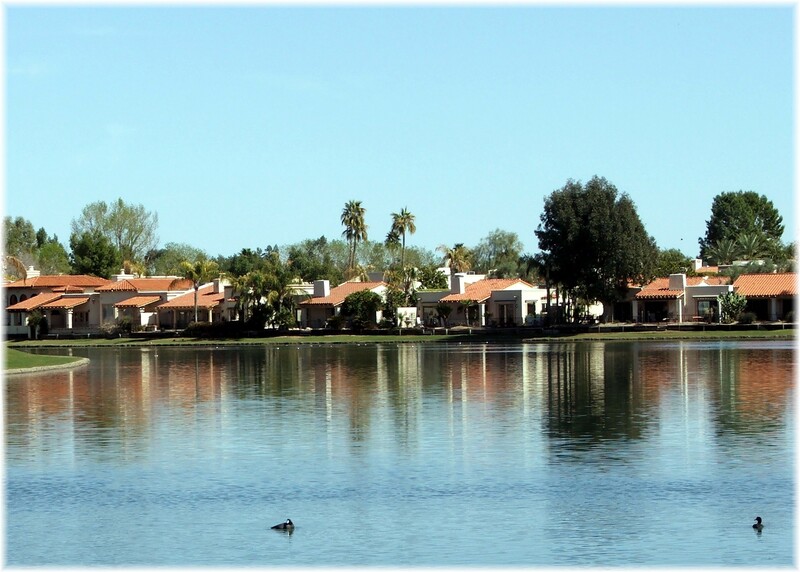 Las Palomas, a private guard gated community is surrounded by lakes and greenbelts with walking and biking paths, fine dining and entertainment which can be enjoyed by all ages. 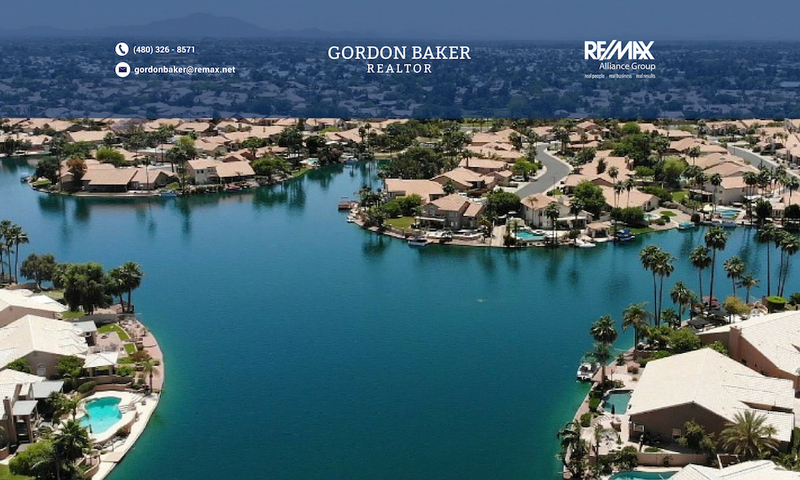 Spectacular McCormick Ranch Waterfront Luxury Patio Home. Original snowbird owners are putting this wide lot waterfront home on the market for the very first time. Single level with 3 bedrooms + large den/family room, 3 baths (every bedroom is ensuite). Las Palomas is guard gated, surrounded by 3 lakes providing privacy and stunning views and features 3 community pools, 2 tennis courts & a dog park. 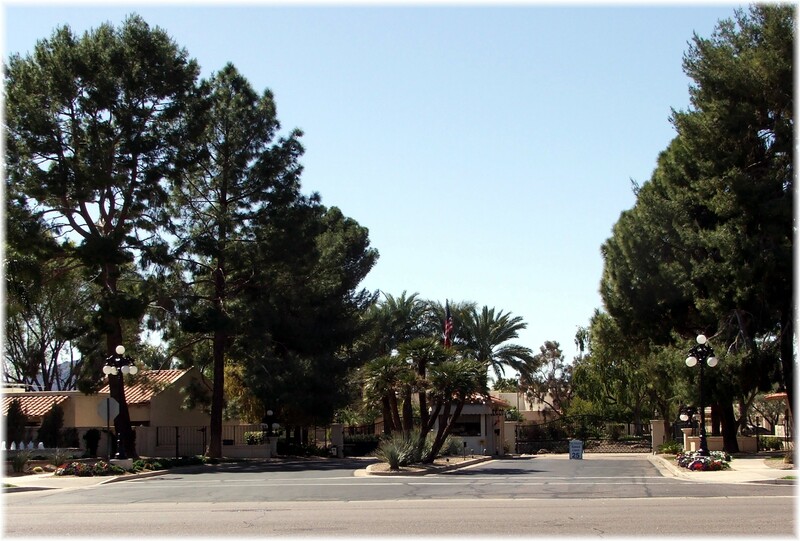 Las Palomas is one of McCormick Ranch's finest neighborhoods, with the Camelback walk & bike path adjacent, and the Chart House, Gainey Village, Old Town & Fashion Square all a short drive. Talking Stick Casino & Ballpark (Rockies & Diamondbacks spring training) are 3+/- miles away. Furniture is available at nominal cost by separate sale. $775K price is FIRM. Lower offers will not be entertained.